The second R-Type brings more of the same shoot-em up action. Gameplay is identical to the previous R-Type, except you now have two new weapons. There are six levels, with themes similar to the previous game. Notable parts include an underwater battle in level 2, and a giant Bydo fleet in level 3. 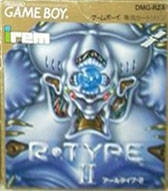 The Game Boy version of R-Type 2 is missing 1 level and both of the new weapons from the original arcade game.